I have a passion for painting with watercolours and after studying as a mature student I now hold a Degree in Art and Design. I originally began my artistic career as a pyrographer, burning pictures into wood. I moved on to experimenting with several different mediums and finally settled on my present work and have been a watercolour artist for the past twelve years. I have been successful in displaying and selling my paintings at local shops and exhibitions as well as taking on several commissions. Previously my work consisted mainly of local scenes of the Suffolk countryside and well known landmarks. As you can see, I have now branched out into the insect world. 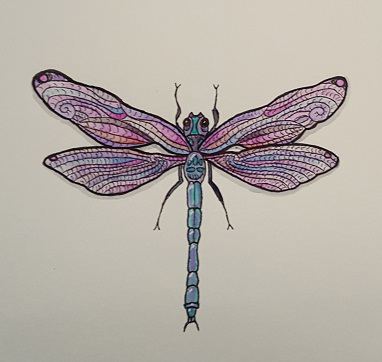 I love the fine detail in a dragonfly’s wing or a beetle’s fine markings and this particularly suits my style of pen and watercolour work. 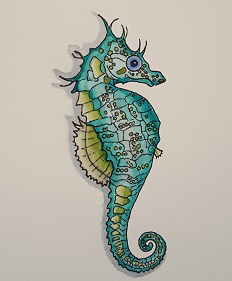 I also sell unframed prints and cards depicting images of my work and am happy to take commissions.